Stacker is the easiest way to manage multiple Social Media accounts. Gaurav taught himself to program and design websites from computer books that he bought with his pocket money and his passion for automobiles led him to build his first website dedicated to Cars, when he was 14 years old. He completed his first commercial project 2 years later and founded GDiz in the process. In the years that followed, GDiz experienced exponential growth taking on work from multiple International clients in both North America and Europe. Having completed 2 years of the I.T. Engineering [B.E] course at the Xavier Institute of Engineering in Mumbai, he put his formal education on hold to pursue his dream of building GDiz into a world class software services provider. He loves all things Technology and his passion for computers is only matched by his passion for music and cars. His hacker/designer skills include PHP, Node.js, MySQL, jQuery, Photoshop, Flash and CSS. He is a Grade 7 certified Pianist from the Trinity College of Music,London, a total foodie, enjoys singing everything from rock to gospel and loves-loves-loves long road trips in his blue bimmer X1. 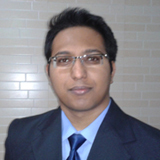 Kenrick graduated from the University of Mumbai with a degree in I.T.Engineering. He is a PHP, MySQL and jQuery Guru and nothing excites him more than building massively scalable, high performance applications. 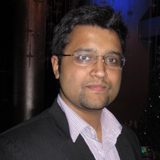 He loves well designed mobile apps, is an avid reader and a die-hard Manchester United Football/Soccer fan. He is passionate about his music collection which includes Don Williams, Michael Bolton, Michael Buble and Blake Shelton and its not an unusual sight to see him with his headphones on, wrangling with thousands of lines of PHP code and belting out "When a man loves a woman"(by Michael Bolton) at the top of his lungs. 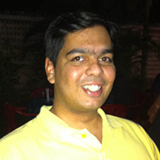 Neil graduated with a Distinction in I.T.Engineering from the University of Mumbai. He is a CSS and sCSS design Ninja and has personally trained every new employee of the GDiz family. He is a stickler for great product design and can make even the most drab and boring Control panel interfaces look fun and exciting. He's a great cook, cant resist junk food and turns into the Incredible-Hulk if he doesn't get his coffee by 10am and 3.30pm every day.